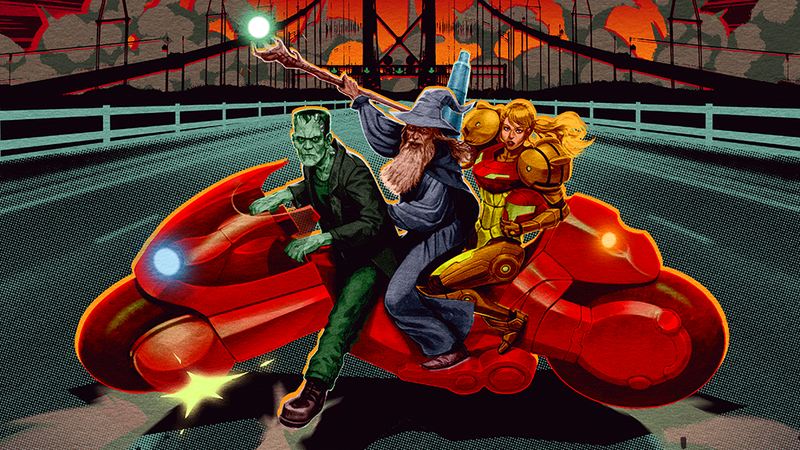 Forum Fantastico poster featuring Frankenstein’s monster, Gandalf, and Samus. Though Melo’s influences are vast and varied, the idea running through all of his art is to turn every scene into a “visual funk party,” where all of his artistic obsessions are put front and center. Melo’s work doesn’t always end up evoking movie posters, but his illustrations all immediately give you a sense of the epic stories that inspired them and how they’d lend themselves to the big screen. Like what you see? Head on over to Melo’s website to check out the rest of his portfolio.